IT risk management software protects business data against all risks associated with the use of software and hardware. This type of software is used to identify, assess, and mitigate IT risks across all business entities of a company. IT risk management solutions also help companies ensure the security and privacy of customer or supplier data. Organizations use IT risk management to comply with governmental regulations and internal policies related to data security. This type of software is implemented by IT departments and can be used by all employees. IT risk management can be deployed as part of a broader governance, risk, and compliance system. IT risk management systems need to consolidate data from multiple sources and integrate with solutions for IT infrastructure, IT management, and security. When deployed as a standalone product, IT risk management software integrates with governance, risk, and compliance software and other risk management software. IT Risk Management reviews by real, verified users. Find unbiased ratings on user satisfaction, features, and price based on the most reviews available anywhere. 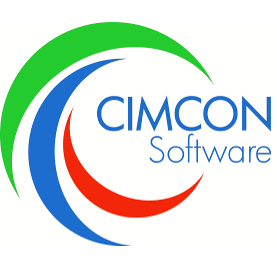 CIMCON Software is the leading provider of Model risk and EUC risk management software. Our solutions help to minimize the likelihood of errors and sensitive data loss in end-user controlled applications (EUC or UDA). This includes Excel spreadsheets, Access databases and other modeling tools. CIMCON Software has been consistently recognized as the industry standard in end-user controlled computing risk management & compliance, helping hundreds of the world’s largest organizations. ERP Maestro makes managing access risk, compliance, and security in SAP® environments incredibly easy. Its award-winning software as a service (SaaS) platform automates the monitoring, detection, and prevention of internal cybersecurity risks in SAP systems, minimizing potential breaches and fraud and accelerating remediation. Its industry-leading segregation of duties (SoD) analysis is used by seven of the world's top 10 audit firms and empowers organizations to establish effective governance, risk, and compliance (GRC) processes. From the financial to the scientific, anyone who faces uncertainty in their quantitative analyses can benefit from @RISK. @RISK helps both Fortune 100 companies and private consultancies paint a realistic picture of possible scenarios. This allows businesses to not only buffer risks, but also identify and exploit opportunities for growth. Verba offers a complete collaboration recording solution for Cisco UC and Skype for Business. Compliance Guardian comes with 25 built-in test suites to help you comply with common regulations. Tectia SSH is the leading mature, commercial SSH client and server solution, backed by SSH.COM, the world's foremost experts in Secure Shell technologies. Agiliance RiskVision enables an integrated top-down and bottom-up approach to IT security risk management. Alsid directory security compliance (DSC) provides a rich set of functionalities to tackle the hardest security challenges. Fastpath Assure is a comprehensive, interactive tool that enables organizations to identify security conflicts within your ERP application, better understand their overall security and provide the necessary documentation to both internal and external audit teams. Reduce risk, prevent fraud and meet regulatory compliance requirements through a highly extensible and flexible platform that delivers unparalleled fraud protection. BowTieServer is a risk management software with a central database for risk management, incident management, management of controlling documents, compliance and assurance and risk-based audits. Brinqa is a leading provider of unified risk management – enabling stakeholders, governance organizations, and infrastructure security teams to effectively manage technology risk at the speed of business. Brinqa software and cloud services leverage an organization’s existing investment in systems, security, and governance programs to identify, measure, manage and monitor risk. With Brinqa, organizations reduce response time to emerging threats, impact to business, and technology risk and compliance costs by over 50% through real-time risk analytics, automated risk assessments, prioritized remediation, actionable insights, and improved communication. Founded in 2008 by industry leaders in risk management with a proven track record in delivering cutting edge, innovative and cost-effective solutions. Brinqa’s award-winning software and cloud services are trusted by fortune 500 companies across risk disciplines such as information technology risk, vendor risk, and regulatory compliance risk. Brinqa is headquartered in Austin, Texas and has a global presence. Since releasing its initial product in 2009, Brinqa has expanded its portfolio from a single product to a suite of software applications and cloud services that span across all risk disciplines. Today Brinqa solutions are helping organizations discover, manage and mitigate risk more efficiently and cost-effectively; Monitor and Manage Security across vendors, products and teams; and meet the compliance and audit requirements. EUC Insight Change Management monitors high-risk EUCs to alert on critical changes and implements flexible controls that reduce risk. EUC Insight Discovery scans your network to automatically create an inventory of high-risk files, identify errors, and generate an enterprise data lineage map. CIMCON’s EUCI Inventory makes it easy to maintain a current and accurate central inventory of your critical EUCs. It automatically updates your inventory as EUCs are used by the business, giving you a strong foundation to lower your EUC risk. Citicus ONE enables organizations to measure and manage the risk posed by the IT systems, suppliers, sites and other key assets and processes on which they depend, using a methodology that reflects over 25 years of research into the factors that drive risk up or down and those which make risk programmes successful. CloudEye is a security and compliance management solution, designed to continuously secure cloud services and automate compliance. One platform for global privacy needs. Clym is the data privacy platform that helps organisations meet their data protection obligations. Manage cookies, policies, procedures, terms & data subjects requests while automatically building evidence through consent receipts. Features: Cookie Consent Management Make consent easier. Capture or withdraw cookie consent in a clear, unambiguous and ongoing way, at any moment. Consent Receipts Proving compliance is just as important as being compliant. We help you demonstrate compliance by generating a Consent Receipt whenever a user performs a new consent action. Subjects’ Requests Empower users to enforce their legal rights. Collect, Track and Manage subjects’ requests related to their rights and get notified when new requests are submitted, so you can act on them on a timely manner. Documents Management Manage Terms, Policies, Agreements & Procedures. Simplify and streamline policy management, adaptable by jurisdiction. Create and manage agreements and procedures in accordance with privacy legislation. Organisation & DPO Data Management Build trust and show transparency by creating a public organisation profile that includes both organisation and DPO contact information. Localisation Keep your doors open to all parties, regardless of their location, as we provide flexible setup per country. This gives users a choice of their prefered language and you the option of managing policies individually for different jurisdictions. Through all its functionalities, Clym provides a head start in data privacy compliance. Benefits: - Gain customer trust. Display transparency and grow your business by showing your customers you respect their rights and care about their privacy. - Save time on your compliance process. Clym’s 10 minute integration and pre-built GDPR processes allow you to focus on your business while working through compliance requirements. - Avoid risk. Clym helps you minimise the risk of being fined, losing customer data or business to a minimum through encryption, anonymisation and control. - Prove compliance. Rest assured you're covering GDPR's principle of accountability through consent receipts published in Clym's ledger and a fully audited system. - Make consent easier. Don’t overwhelm your customers with time-consuming GDPR processes. Clym makes consent management a breeze, while allowing them to withdraw consent at any moment. - Keep your doors open to European customers. Europe’s new privacy law is changing the face of business, but is no reason for you to give up on your EU customers. We help you keep them close. - Minimise your GDPR compliance costs. Keep your IT resources focused on the projects that truly move the needle for your organisation. We provide an enterprise product for an affordable monthly payment. - You focus on your business. We focus on compliance. We optimise for compliance by keeping a close eye on data privacy legislation around the world, so you can focus on what matters most: your business. Compass IT GRC is a software solution that helps organizations meet IT regulatory compliance requirements and mitigate IT security risks. ComplianceBuilder is a real-time monitoring solution designed to enable 21 CFR Part 11 compliance to provide data integrity across IT systems such as file systems, database systems, laboratory or any manufacturing instruments. The Control app provides organizations with the ability to identify and manage sensitive information that could cause harm if it violates internal policies or is leaked externally. Control is built on top of Connected Capture for specific channels and includes feature controls/message blocking, alerts, ethical walls, and the ability to add disclaimers. Corax is a cyber risk analytics and underwriting platform that helps those involved in cyber risk transfer with client facing and carrier/reinsurer facing activity. A cost-effective, security engineered, turn-key FULLY COMPLIANT solution for storing, processing and transmitting CONTROLLED UNCLASSIFIED INFORMATION (CUI). ECOMPLY.io is SaaS privacy management system greatly simplifies data protection compliance. eLicense Software is an automated system for governments and agencies to license professionals in an efficient and a paperless manner it has portals and is web-based for real time speed, reporting and has intuitive, easy-to-use features. eramba is an open enterprise-class IT Governance, Risk & Compliance application. Fastpath GRC Studio is a comprehensive, interactive tool providing continuous controls monitoring helping users to better understand their security while effectively meeting the needs of their internal and external audit teams. FOSSA is a open source solution designed to provide developers with tools to analyze code automatically to help developers with open source license management. JOBARIX is a preventive analysis software enables to analyze every risk in relation to a task, a piece of equipment or a workstation. NORIZZK.COM is a test & risk management platform providing hands-on and smart testing in agile projects. It is designed by test professionals, for test professionals. 15 years of test experience offer the best way for coordinating your test activities. NTP Softwares File Auditor allows to have an immediate view of who is accessing which documents across a entire storage environment, in real time. NTP Software QFS is a in the real-time control and management of unstructured data, today announced the availability of NTP Software QFS System Dashboard (QSD). A cloud software application for managing risk in a straightforward and simple way. See for yourself how easy risk management and business continuity planning can be with a 3 MONTH FREE TRIAL! Objective Controls lets managers demonstrate effective handling of risks in their organization to board, customers and other stakeholders. It includes internal controls to help you work towards best management practices and executive accountability. Sign up for 3 months free today. Oodit Riskplan is a innovative SaaS solution that empower users to have a safe workplace by managing, analyzing, and preventing risks. Quantivate IT Risk Management provides sophisticated tools to manage and mitigate IT Risk, standardize IT risk assessment methodologies, and provide actionable enterprise-level risk information for improved organizational decision-making. Hi there! Can I help you find the best IT Risk Management solutions?